Mario is a great all-rounder with boundless energy and a nose for adventure! He’ll stop at nothing to help out those in need. 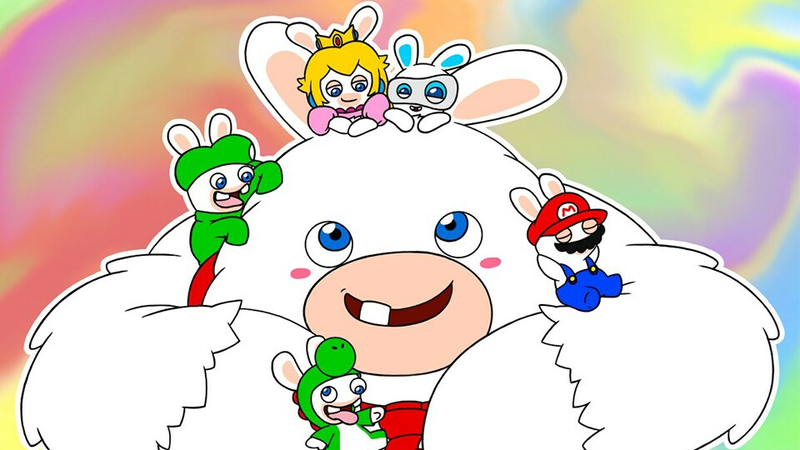 When the Mushroom Kingdom faces a new chaotic threat, Mario does not hesitate to pick up a weapon and fight alongside the Rabbids. A mid-to-close range fighter with excellent mobility, his offensive talents make him a natural choice to lead the charge in battle. BLASTER: Mario’s weapon of choice is the blaster, a mid-range weapon that enables him to shoot any individual enemy who would make the mistake to be within Mario’s line of sight. MELEE HAMMER: As he unlocks the Secondary Weapon ability, Mario can wield a hammer that deals massive Area of Effect damage to all nearby enemies. 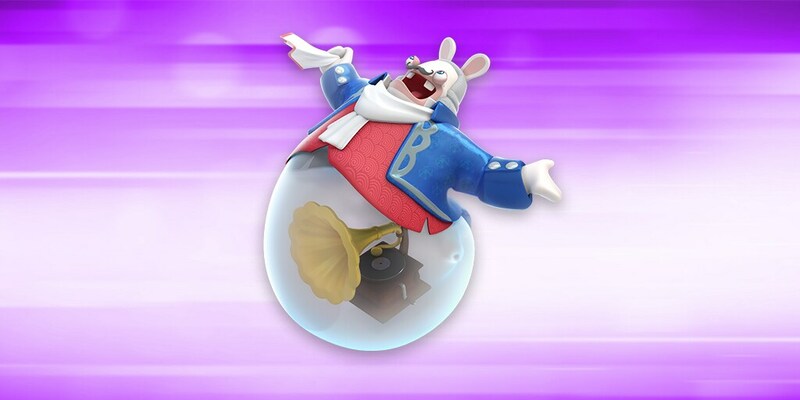 Hostile Rabbids are going to get squished! HERO SIGHT: Mario’s been through many adventures. As a result, he’s developed a sharp eye, enabling him to react and take action during the enemy’s turn. Once an enemy moves out of cover and within Mario’s range, Mario will automatically shoot it with his blaster, even though it’s not his turn! M-POWER: As a leader, Mario has the ability to inspire and motivate his friends and teammates, especially during dangerous and fierce battles. 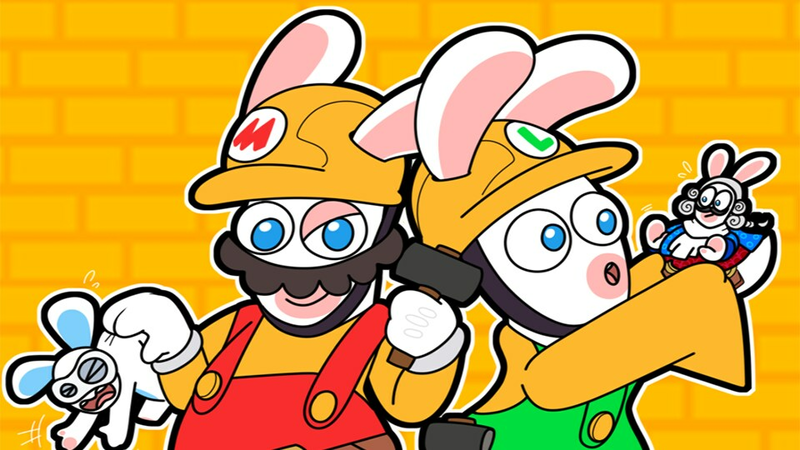 By activating his M Power, Mario boosts the attack of all nearby allies and gives them an opportunity to knock some silly Rabbids out. STOMP JUMP: Mario’s iconic and most fearsome move is a strategic must-have that will enable you to flank and surprise most of your enemies. Once Mario unlocks this special movement, he is able to land on an enemy’s head following a team jump, and then land nearby to finish the job up close. There’s nowhere to hide when attacks come from the sky! USE HERO SIGHT WITH ALLY ABILITIES: Try activating Mario’s hero sight before using techniques like Rabbid Mario’s Magnet Dance and Rabbid Yoshi’s Scaredy Rabbid, as their attracting/repelling effects will force the enemies to move and trigger Mario’s reaction shot. COMBO HERO SIGHT WITH YOSHI: Yoshi’s Super Chance enables you to maximize the probability of triggering your weapon’s super effects. When activated, you can use Hero Sight and then attack with one character that has a Bounce or Push super effect. You will push the enemy backward and make it trigger Mario’s Hero Sight. HAMMER WISELY: The Hammer’s area of effect damage is maxed out at the center and minimal at the edges of the effect zone. Pay close attention to the location of your other teammates: you might seriously damage to them, if they’re too close to when you lay down the hammer. Think ahead about which character you should move first! M-POWER YOUR ALLIES: M-Power is very powerful but has a very long cool down, so use it to its full potential by enhancing the power of all your allies. Try using it at the beginning of your turn, especially when all your heroes are grouped together, before everyone moves into battle and out of Mario’s reach. STOMP JUMP, BUT DON’T FORGET YOUR COVER: Mario’s Stomp jump opens up movement possibilities and enables you to bypass your enemy’s defense. However, pay attention to where you land afterwards: make sure you can take at least half cover after your stomp jump, as you do not want to be in the middle of the enemies’ crossfire. Having additional protection from other Heroes’ techniques (Peach’s protection for instance) would also be a smart choice!